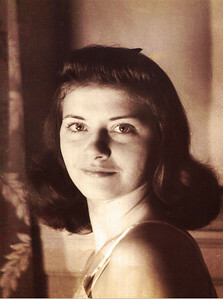 My late Mother shown here at 21. Thanks for all the wisdom and knowledge you imparted to me. Hello and welcome to MUNIAC.COM and yet another place to visit for some dedicated purpose. It would be nice to make some lasting profound statement at this point but nothing profound needs to accompany you on your visit here. I've found life can be extremely enjoyable without being profound. And many profound statements have been made by men far greater than I. I'll spare everyone my feeble attemtps at philosophy and phraseology. In actuality, this has been designed to be a regular person's experience both in its creation and assimilation. My life seems to have been an exercise in what I would term ongoing unique normality. Freedom is at the center of many dimensions of life I value as important. Freedom can be simply defined here as "having options". One concludes that options maximize when limits and restrictions are minimized. The more options and choices you have the more freedom you possess. At least that's how I see it anyway. Some of us try to be all things to all people. And the things I'm least comfortable with are the ones designed with supposed mass appeal. Why not try being an individual falling out of lock step once in awhile. I already know the problem with that statement is it takes guts. Since we can't practically be all things and everywhere at once, we are required to choose from a set of options. Sometimes the path less traveled is the best one. It works somewhat like your local restaurant menu. Hopefully you have the freedom to pick your eatery and see the menu and prices. Unless you've made a complete mess of your life I think most of us enjoy reasonable levels of freedom, at least before we've traded much of our youth for experience. Some choices have a money back no questions asked return policy but most real life ones don't. Yes everyone likes lots of options and the freedom to choose. It's good to keep in mind that with the freedom to choose comes the personal responsibility in making correct choices. And if you screw up you need to fix it yourself. All that said, I've found information as the best resource when faced with correctly making both casual and serious choices. As a child I can remember my now late Father banging his fist on the dinner table shouting, "Reading is the single most valuable source of information you will ever have." Although his delivery system wasn't the greatest his message was certainly accurate. The internet now puts literally tons of information right at our finger tips. And with the marvel of modern computer technology it can be a multi media experience. Quantity certainly doesn't imply (or guarantee) quality but we can choose the where and when. Another very important aspect of the internet is it's "little guy" friendly for the most part. With small change, basic knowledge and lots of time you can publish your very own site. Getting people to visit and react is the challenging part. This site is dedicated to conveying information through chronicling my own experiences, mishaps, adventures and learning experiences just to name a few. I also think I've lived just long enough to have impact. Again this site (or me for that matter) isn't the voice of expert advise or maker of profound statements. It tells a true story via information bites which I hope you can identify with and benefit from. Do keep your sense of humor as you interact with its content. May your visit be a pleasant one and provide assistance with the decision making process.